Hiestand and Wilson write on Calvin as an ecclesial theologian, “[Calvin] changed the world because he wrote as a robust, theologically informed, intelligent, prophetic pastor who understood — as a matter of vocation — what is was to have the weight of souls upon his shoulders.” – The Pastor Theologian, 86. May the Lord raise up scores upon scores of self-conscious, intentional, ecclesial theologians (and academic theologians) with this same theological burden, for the sake of His church in this generation and the generations to come. Join Hiestand and Wilson, Kevin Vanhoozer, Peter Leithart, James K. A. Smith, me, and many others at this year’s Center for Pastor Theologians’ Conference: The Pastor as Theologian: Identities and Possibilities. Earlier this year I read through Greg Forster’s, The Joy of Calvinism: Knowing God’s Personal, Unconditional, Irresistible, Unbreakable Love (Crossway, 2012). I enjoyed the book immensely and would recommend it as a very good primer for a historical understanding of Calvinistic soteriology. 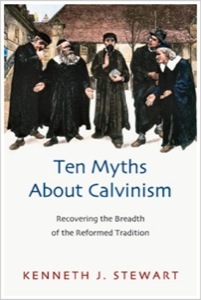 Part of Forster’s argument in The Joy of Calvinism is that it would be prudent for Calvinists to become more sensitive to the way key terms of the debate are used today, as opposed to the way they were used during the 16th century Reformation debate. As such, I have invited Forster to give me his thoughts on, “A Statement of Traditional Southern Baptist Understanding of God’s Plan of Salvation” – a work by a group of Southern Baptist church and seminary leaders that decidedly holds a different view of salvation than a Calvinistic position. Greg, Thank you for allowing me to interview you for this blog. First, so that I might introduce you to my readers, please talk some about the subject of your PhD dissertation. That’s sort of the academic version of asking me for my personal testimony – and in my case the two are linked because my dissertation work was instrumental to my conversion. 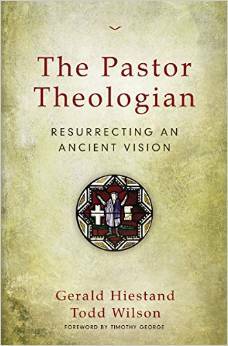 I was raised outside the church and was a deist at the time I started working on my thesis. I wanted to write about the reconciliation of religion and politics in the context of religious freedom – how do we maintain a moral order in society if we don’t share a religion? That has always struck me as the key question of our time. I wanted to explore how we could morally justify enforcing the basic rules of social life (don’t kill, don’t steal, keep your promises, help your neighbors) in terms that people of different faiths could all agree on with a clear conscience and fidelity to their beliefs. Well, the short version is that in order to do this I had to read a lot of Christian writing, and it challenged all my highly cherished intellectual prejudices. 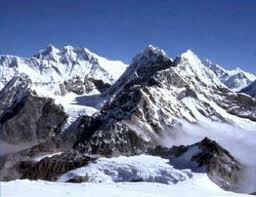 God used that as the central way in which I came to realize the truth of Christianity. My interest in this document is kind of indirect, but in a way that I hope most people will find relevant. This is an internal dispute within the SBC, so on the most immediate level it’s not really my business. I love Baptists dearly, but I am not one of them, so I have no desire to stick my nose in where I’m sure it’s not wanted. However, the document – and the public responses by people from a variety of positions – does interest me very much as someone who has studied the way public debates about Calvinism are conducted. I think this moment provides a great opportunity for us Calvinists to reflect critically about how these debates are framed. The underlying theological disputes are real, obviously, but one point a lot of people have stressed in this debate is that we seem to be talking past each other on a number of issues. I think that’s true, and I think we could all do each other a great brotherly service by bending over backwards to be clear with each other, to make allowances for the fact that different people may be using the same words to mean different things, and explore areas of agreement (or potential agreement) with the same enthusiasm we bring to areas of disagreement. You wrote about “free will” and “free response” in your book. What do you see in this document that connects to that discussion? The statement mentions human freedom in various forms nine times, and the same concept or related concepts are also touched on frequently using other terms, such as ability or capacity language (e.g. “capable of responding”). To affirm human “freedom” in responding to the gospel is clearly one of the central concerns, if not the most central concern, of the authors. Traditionally, Calvinists have resisted using freedom language when describing the human response to the gospel. I understand those concerns, but I think we are probably creating more confusion than clarity. This Calvinist allergy to the language of human freedom goes back to the 16th century, when the debate between Rome and the Reformers was framed on both sides in terms of two alternatives: you are born a slave to sin (the Reformation view) or you are born free to choose whether to be a slave to sin (the Roman view). It was a choice between “free will” or “enslaved will.” We Protestants denied human freedom in this context because we had to affirm that people are slaves to sin by their nature. However, starting in the 17th century or so, in the context of the Enlightenment, the language of human freedom came to carry a different meaning. The debate in that context was between those who thought human beings were morally responsible for their own actions and those who thought human beings were really just products of their genetics and environment. Now it’s a choice between “free will” or “determined will.” In that context, Christianity has to affirm free will in order to affirm that people are morally responsible for their actions. And this continues to be the way in which most people use the language of human freedom. So I wonder to what extent we Calvinists are inviting misunderstanding by our reluctance to affirm human free will, given that today, pretty much everyone other than Calvinists understands “free will” to mean “morally responsible will.” If we want to reach people, it’s our job to learn to learn and speak their language, not their job to learn ours – just like with foreign mission work. You know, even Calvin himself said that if “free will” means we are morally responsible, he agrees that we have free will. Practically speaking, in terms of one’s personal, individual, daily walk before Christ, what are some significances of holding to this view of salvation? Similarly, what difference, if any, might it make for the corporate working(s)/ministry of a local assembly of believers? It’s hard for people to believe that Calvinism makes a big difference in the way we live out our faith, but I think that’s because we Calvinists haven’t connected our theology to our practice well enough. The Calvinist view is that Jesus saves you personally rather than creating a salvation system for people in general and then hoping you get plugged into it. This ought to make a huge difference to our practical piety for a number of reasons. It means you know that Jesus did all the effective work of salvation – you did freely choose to accept him, but your free choice was not a contributing factor to the work of your salvation. So you will find it easier to give Jesus all the glory, and to be free from fear that you might lose your salvation by losing your devotion to him. You can quit viewing the function of the worship service in terms of whipping up frenzies of pious emotion through sheer willpower, and instead come before God with self-emptying trust. You will know that God values you more than anything in the universe; he wasn’t willing to subordinate the work of saving you to any other concerns, but smashed right through all obstacles to save you, even the obstacle of your own sinful enmity toward him. And you will know that God does not just cooperate with your heart but actually works miracles inside your heart that transcend your own psychology, which means you can lean on him for sanctification instead of feeling like it’s up to you to do it in your strength. Other than your own recent work, what are some other beginner and intermediate titles I could recommend to laymen to read on free will, free choice, free response, and the 16th century Reformation debates? 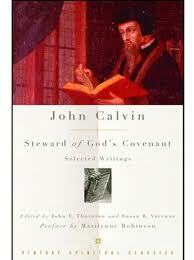 For a long time, the classic popular defense of Calvinism for the layman has been R.C. Sproul’s Chosen by God. A lot of the newer books are also good, but I’m an old-fashioned kind of guy, so I still recommend Sproul for beginners who are looking for an introduction to the formal theological defense of Calvinism. Sproul also wrote a book called Willing to Believe that is specifically about the history of the free will question in Christian theology, from the early church to the present. 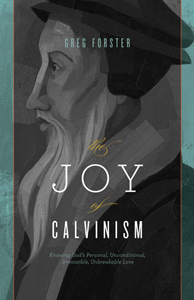 If you want a more well-rounded human look at Calvin the man and the debates of his time, a book that I recommend very highly is John Calvin: A Heart for Devotion, Doctrine and Doxology, edited by Buck Parsons. “When God leaves us for a time to the injuries and petulance of our enemies, he seems to neglect our cause; but when he restrains them from assailing us at their pleasure he clearly demonstrates that the defense of our cause is the object of his care. Let us, therefore, learn from the example of David, when we are destitute of man’s aid, to have recourse to the judgment-seat of God, and to rely upon his protection.” John Calvin, Commentary on the Psalms, comments on Ps. 26:1. See also Heart Aflame.